Through dynamic, interactive discussions, our highly experienced trainers will explore timeless ethical principles and their application in the ever evolving and complicated world in which we live today. 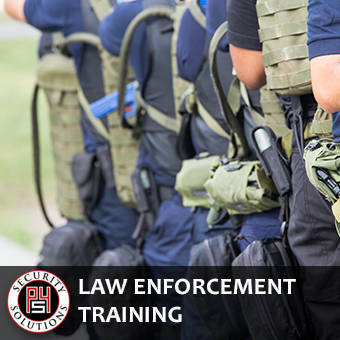 Our law enforcement training program consists of the following elements. Changing trends in society & the impact they have on law enforcement. Creating and fostering an ethical culture in the security industry workplace. The positive benefits of practicing ethical conduct and decision making. Connecting ethical conduct in both one’s personal and professional life. Ongoing encouragement and support to maintain an ethics based law enforcement culture. Following long and successful careers in municipal or governmental law enforcement, many professionals make a decision to move into the private security sector. While there are some distinct similarities between these two cultures, there are significant differences as well. Our “Life After Public Safety” course is designed to help seasoned law enforcement professionals select their next career path and provide them with the tools they need to be effective and successful in a new role. This course focuses on several key aspects of transitioning careers in the security industry. Defining one’s goals and aspirations. Researching prospective employers & opportunities. Cover letter & resume writing. Career changes in the security sector can be very rewarding and allows seasoned professionals the opportunity to contribute in meaningful ways to the industry. Our “Life After Public Safety” course is designed to give attendees the skills they need to find a perfect new fit for their experience and talents.